When insulating a property, it is important to consider the quality of the fixings as well as the insulation material itself. Using fixings of poor quality will compromise the effectiveness of the insulation system and its ability to perform to its optimum level. 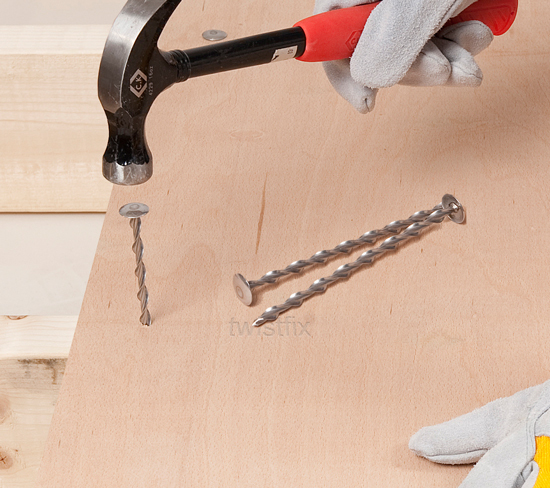 Twistfix insulation fixings are designed for fixing Rockwool, Celotex and Kingspan insulation materials, to name but a few. 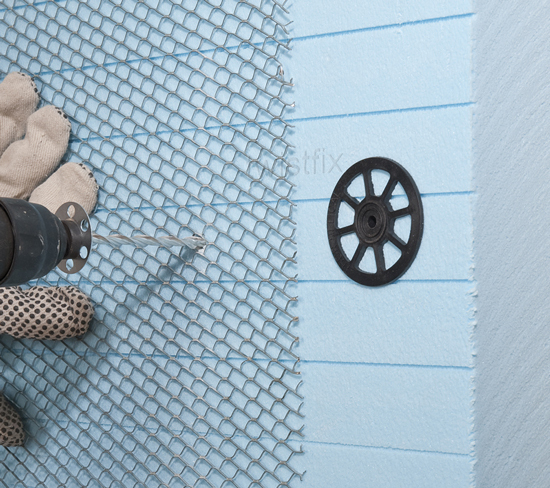 They are manufactured and tested to the same quality standards as the entire range of Twistfix products and are guaranteed to give a long service life. 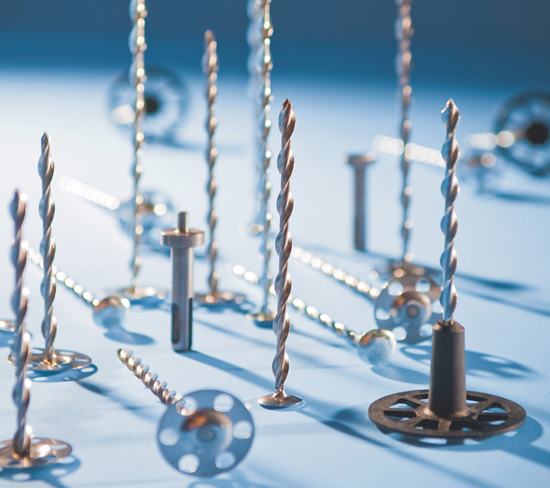 The Insofast range of fasteners incorporates a range of metal fire resistant fasteners that are purpose-designed to fasten fire-proof insulation, insulated plasterboard laminates and flat-roof composite boards to soffits, solid walls and warm flat roof decks. Most building materials will allow the insertion of helical insulation fixings, which have an extremely small cross section to reduce cold bridging, making them ideal for fixing insulation boards in new-build projects or retrofit upgrades. A thermally-broken helical anchor with a large synthetic head is used to fix external wall insulation where a strong, high performance anchorage is required. 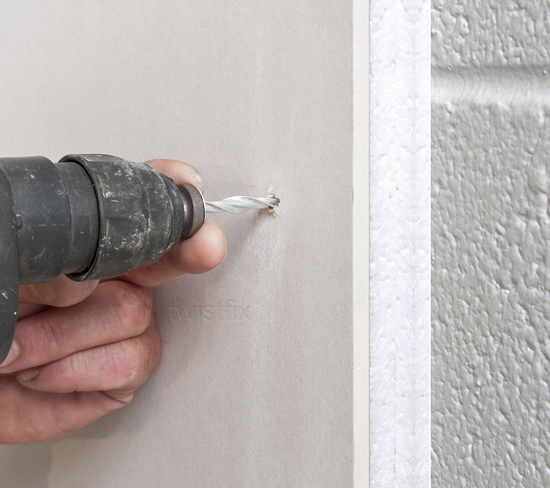 A selection of polypropylene insulation fasteners is available within the Insofast range and these are suited for use in areas where fire is not a risk or where they can be supplemented by additional fireproof fixings. As the need for thermal efficiency grows the trend is for the thickness of insulation to increase and insulation fixings grow longer. Twistfix have extended its range of fasteners with new longer sizes to cope with the increased depth of insulation materials being used. The new additions to the range are listed below. The zinc plated ISF18 Flat-Roof Fixing is now available in the longer length of 220mm and the stainless steel helical nail can be supplied in new 220mm and 245mm lengths. 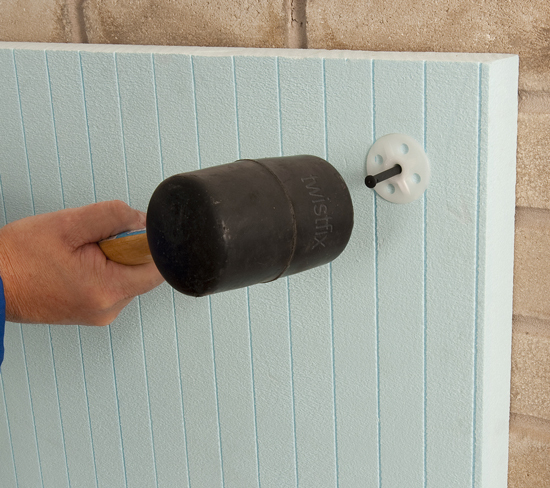 The range fixes ply-faced composite insulation boards from 85-210mm deep. The ISF60 external wall insulation fixing is for the first time available with a corrosion resistant stainless steel helical shank..
We invite you to browse the full, extended range of Twistfix Insulation Fixings. Our expert team are always available to assist and advise you in order to supply the most relevant product at the most competitive price.